Options for these Colonial landing spindles include the choice of timbers they can be made from. These handrails can be made with Sapele, Hemlock, Southern Yellow Pine, Pine, US White Oak or US White Ash. 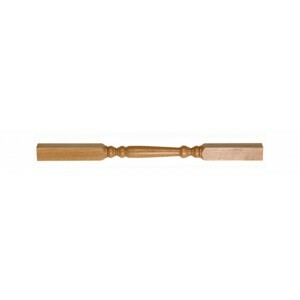 Fernhill staircase spindles are ideal for large staircases in grand hallways with landing balustrade. These landing spindles are produced in a range of different styles, so you’ll be sure to find something to suit your home. Styles currently available include the simple stop chamfered and stop ovolo designs as well as the more decorative Oxford and Grecian designs.